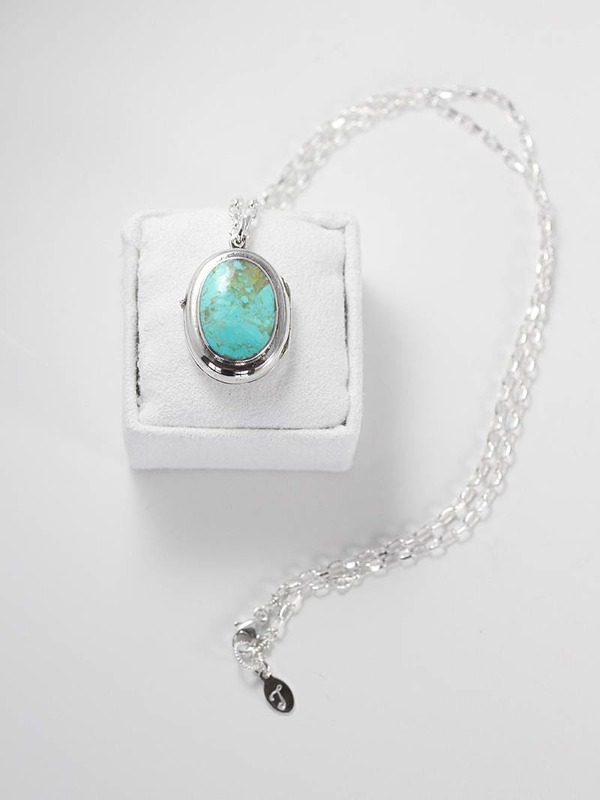 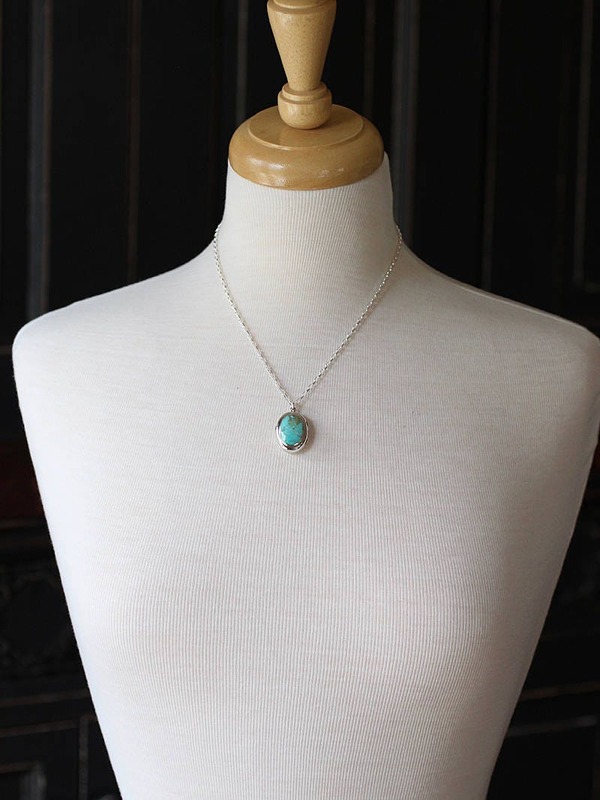 A unique vintage locket is fashioned around an oval turquoise cabochon. 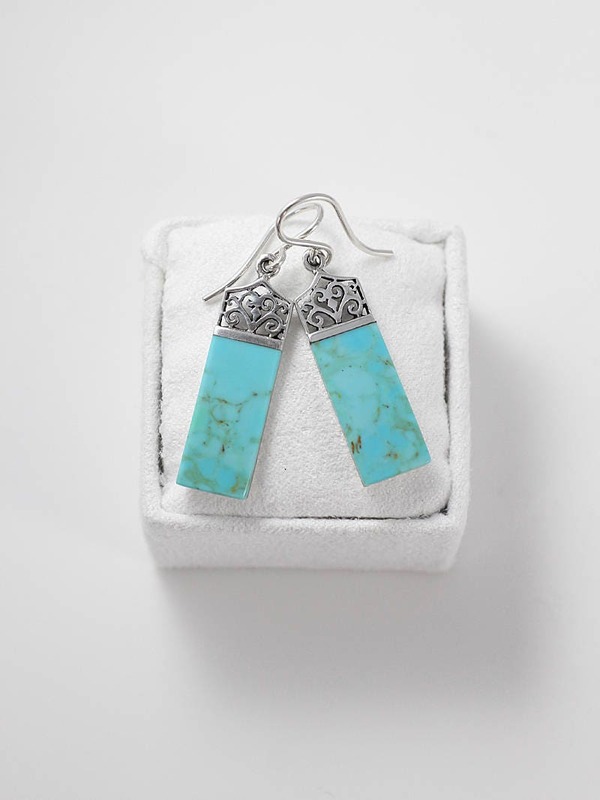 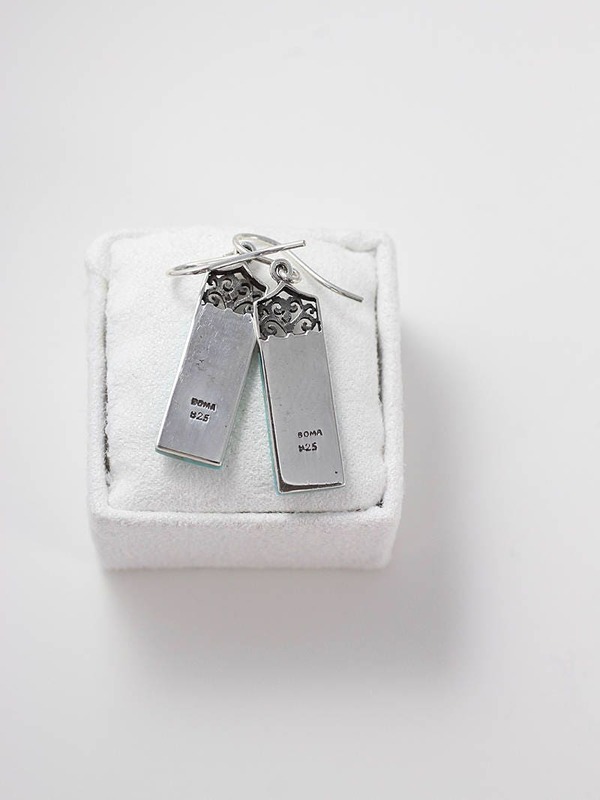 The turquoise is lined in silver on the front and the back is engraved with a classic vine pattern. 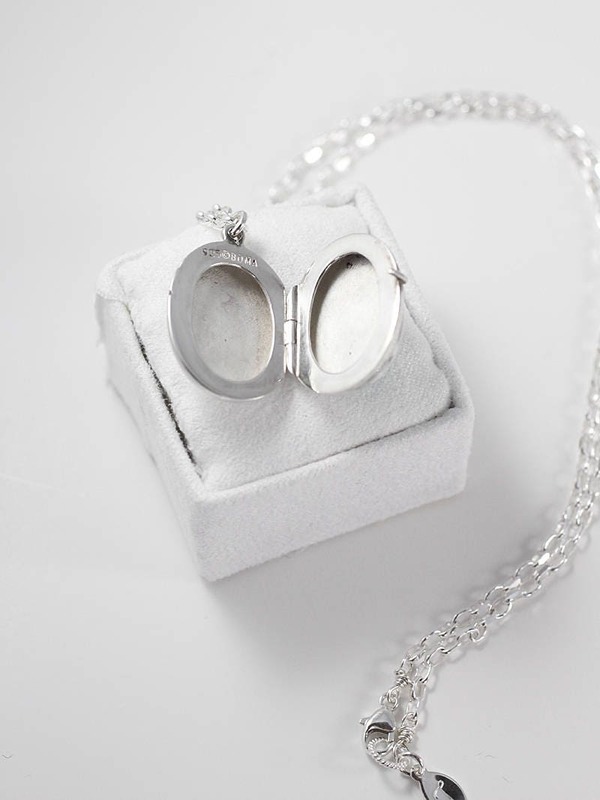 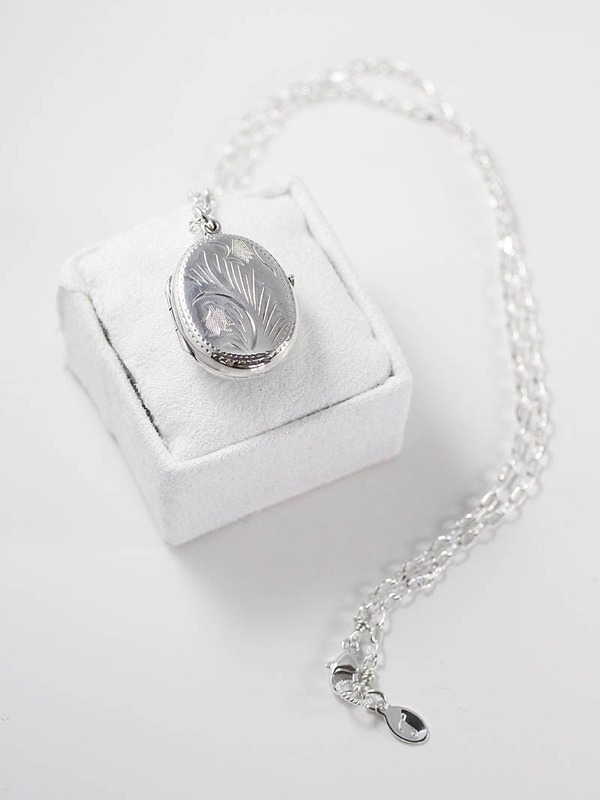 The locket dangles from a beautiful, thick sterling silver cable chain hand finished with a trigger lobster clasp and ring. 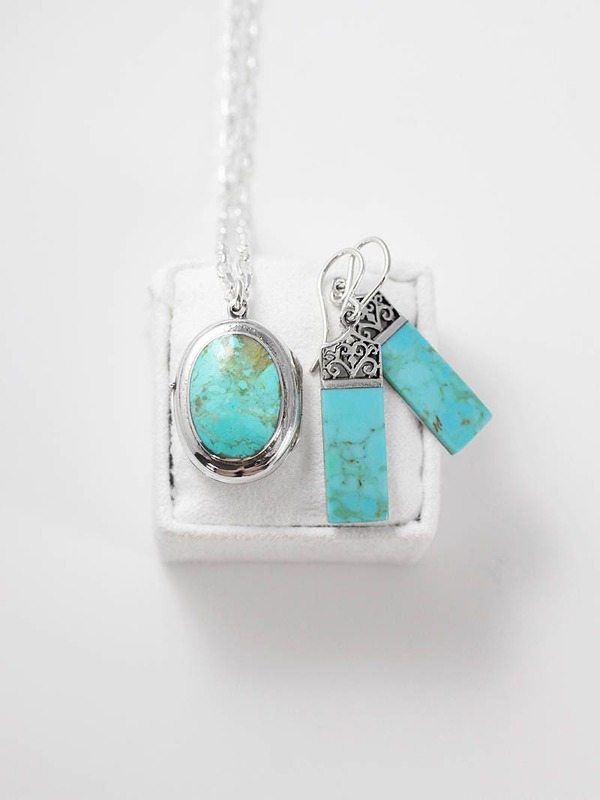 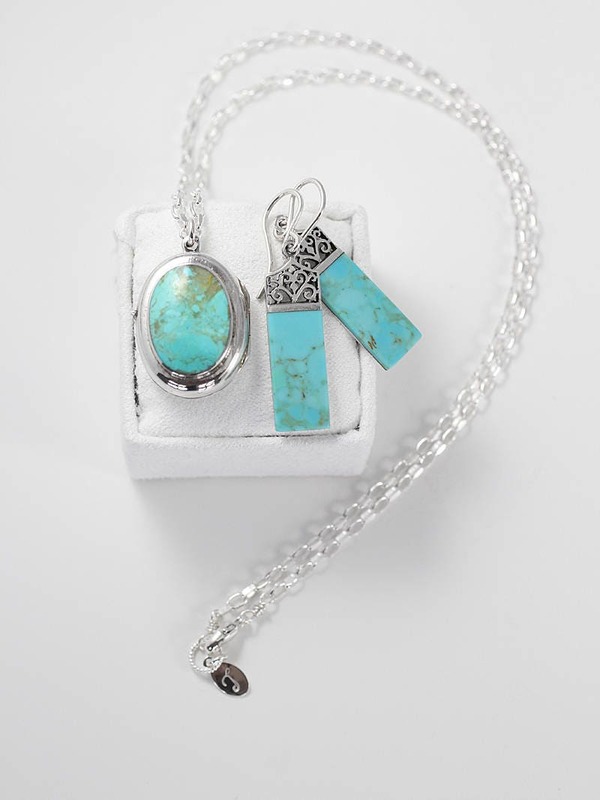 The locket is paired with a matching set of turquoise and sterling silver earrings in a rare flat bar shapes with fancy filigree tops.